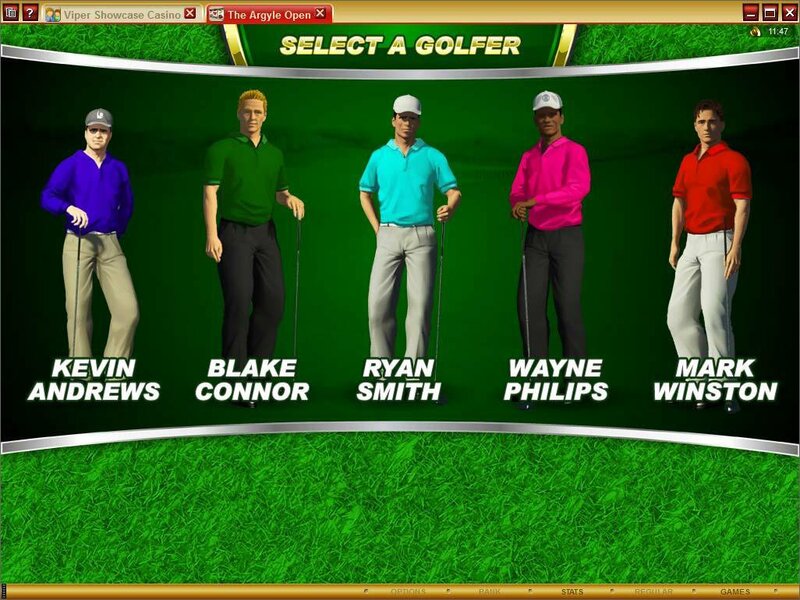 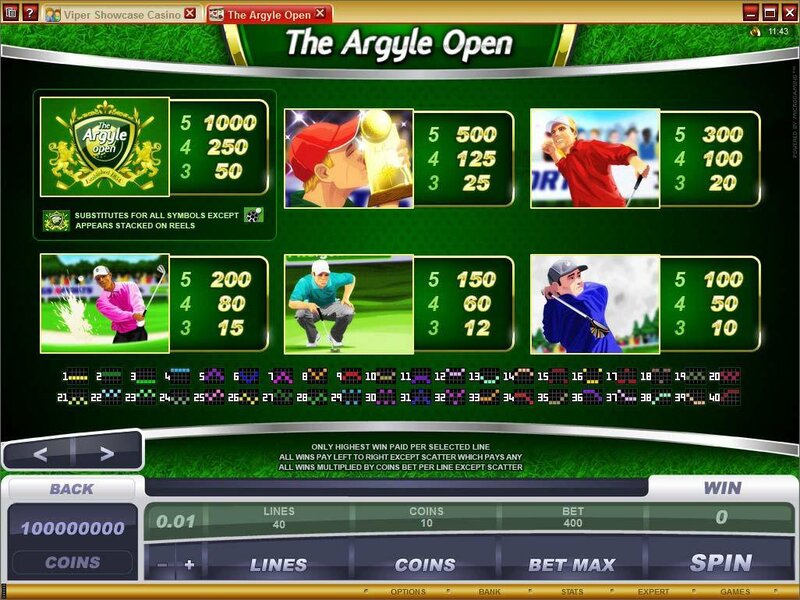 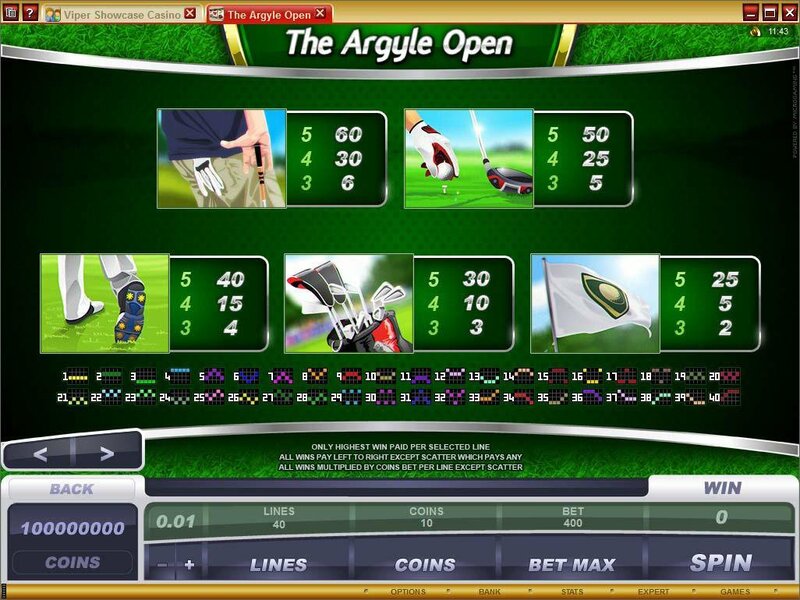 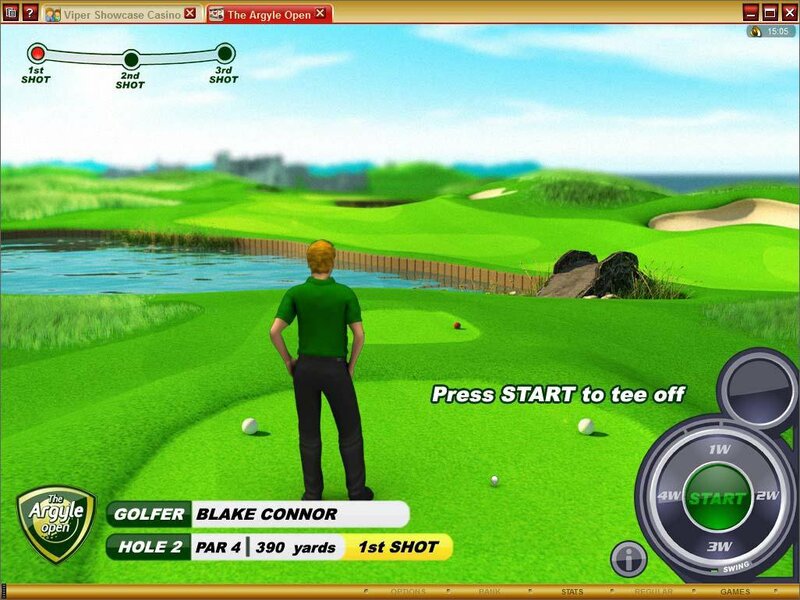 Overview: This 5 reel, 40 pay-line game's outstanding graphics are redolent with golfers, clubs and trophies, all backed by a truly entertaining slew of big slot features such as Scatters, Wilds, Free Spins, Multipliers and an absorbing interactive game-within-the-game in the form of a 3 stage golf tournament. 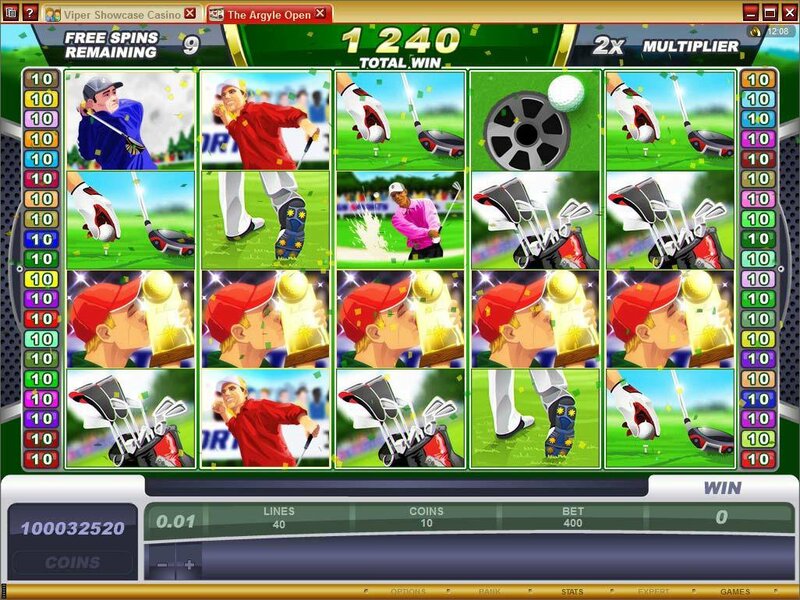 In the Drive and Fairway Bonus the player can achieve great prizes for the distance travelled by the ball, and in the Putt Bonus, the player chips on to the green, and the closer the ball gets to the hole, the more retriggering Free Spins - up to 20 - are awarded....and they all carrying multipliers between 2x and 4x. 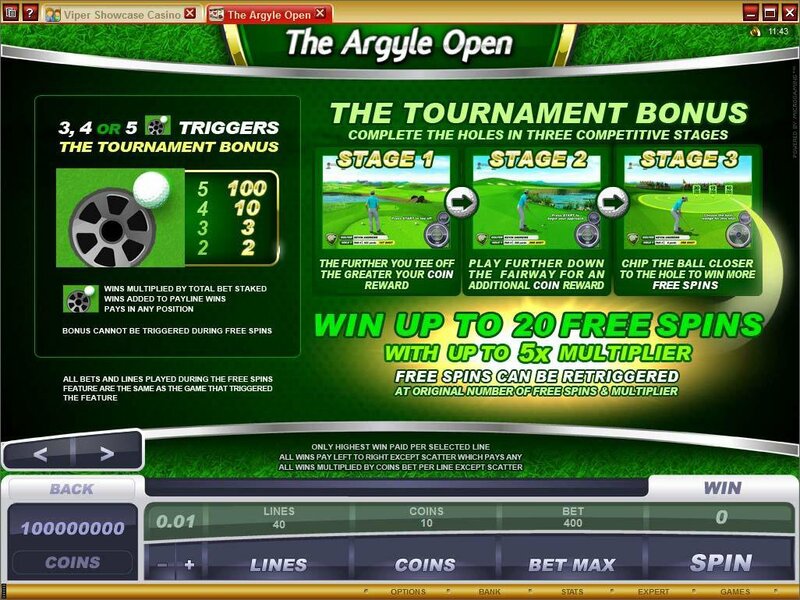 For really fortunate players who manage a hole-in-one there's a special prize of 20 Free Spins with a 5x Multiplier. 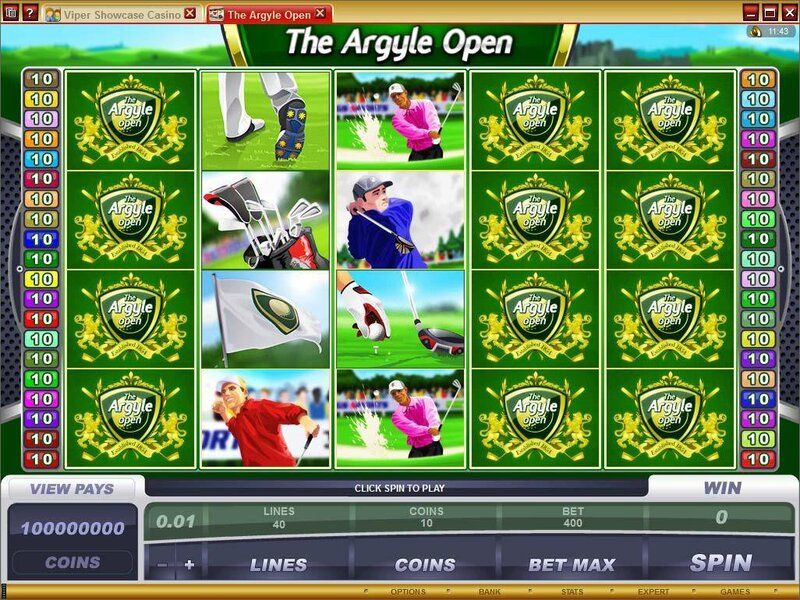 Similar Slots: If you like The Argyle Open, you might like these other 5-reel slot machines: Cashanova, Chocolate Factory, Days of the Tsar, Gopher Gold, Jellyfish Jaunt, Polar Pioneers Video Slot.